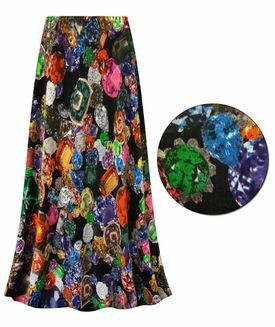 These are fabulous bright and vibrant lightweight stretchy slinky print plus size elastic waist skirts. 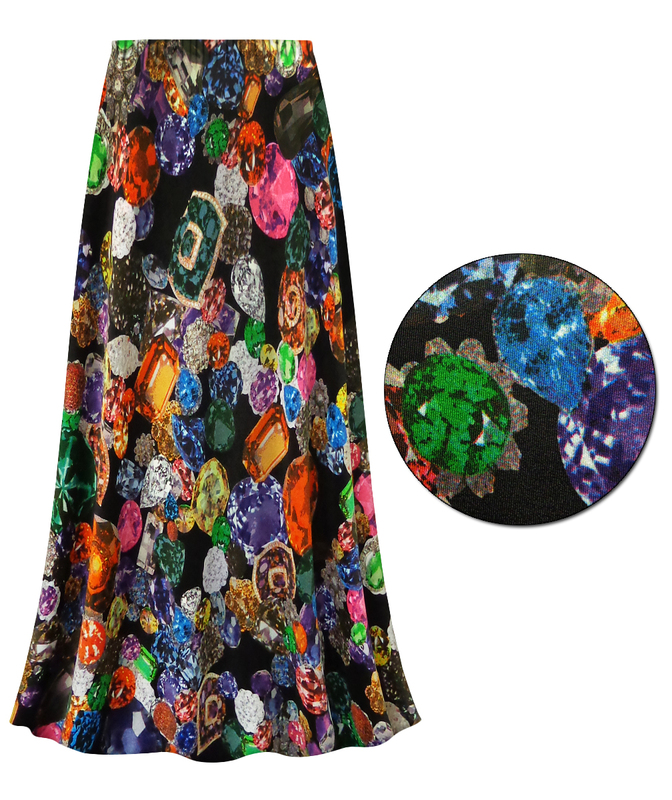 They boast the perfect print for fun & relaxation, and are completely customizable! 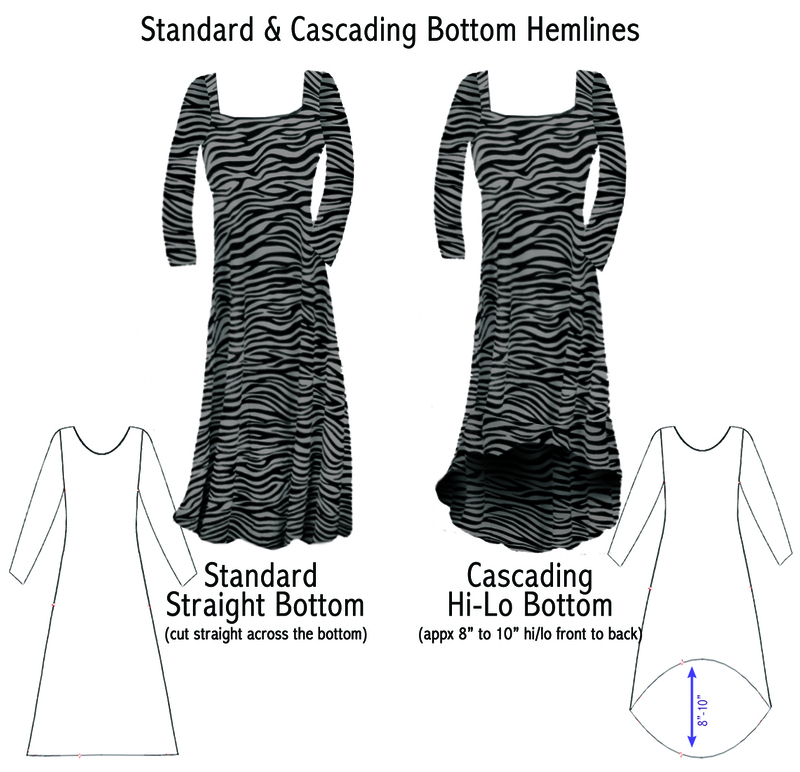 Hem: Straight bottom or Cascading bottom (hi-lo); back is appx 6"-8" longer than the front.